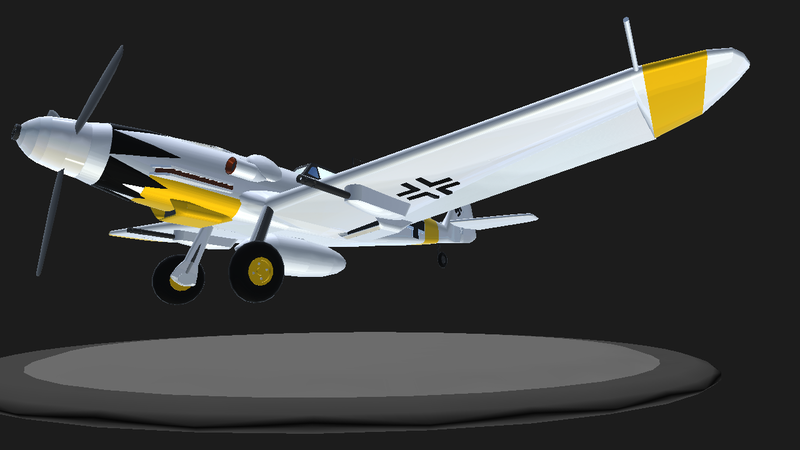 SimplePlanes | messerschmitt bf 109 G14 "Erich Hartmann"
messerschmitt bf 109 G14 "Erich Hartmann"
Chronologically it was built before the Bf-109G-10 due to delays in the development of the DB-605D. 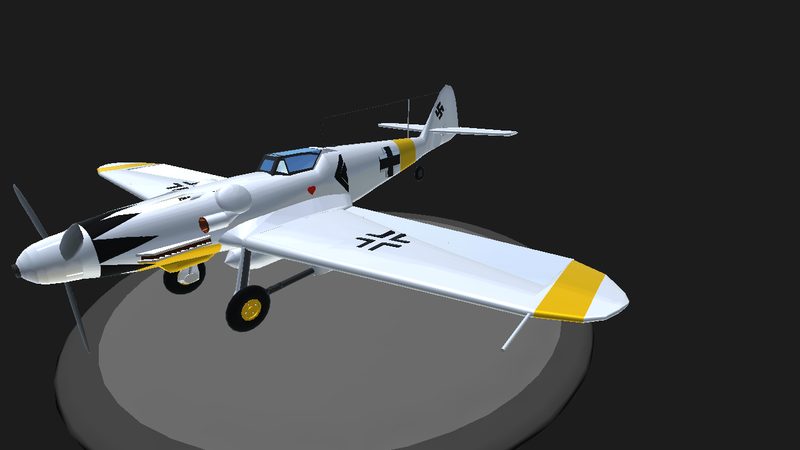 It was an attempt to standardize the production and repair of fighters due to the large number of factory options and variants that existed for the Bf-109, which prevented a higher speed production of these much-needed fighters for the Reich Defense. 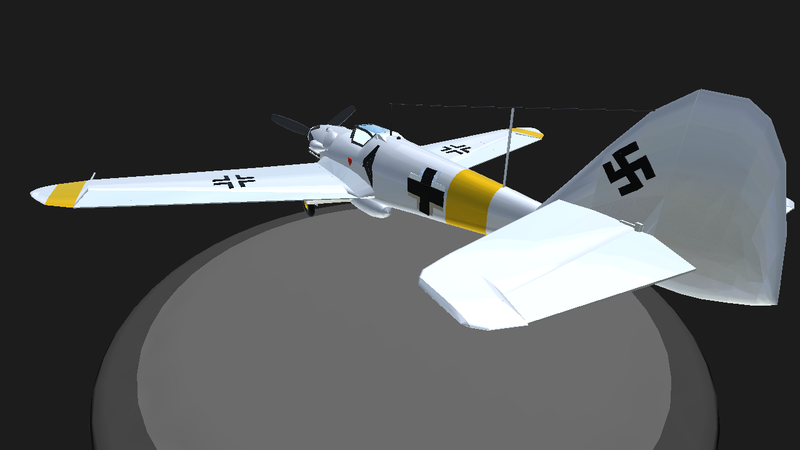 Bf-109G-14 initials: DB-605A and DB-605AM engine, Erla Haube cockpit, wooden rudder, new oil pump with cooling intake in the root of the right boss of the MG-131 machine gun bolt . The R-1, R-2, R-3, R-6 could be used. They were used by JG-1, JG-3, JG-7, JG-11, JG-27, JG-53 and JG-300. 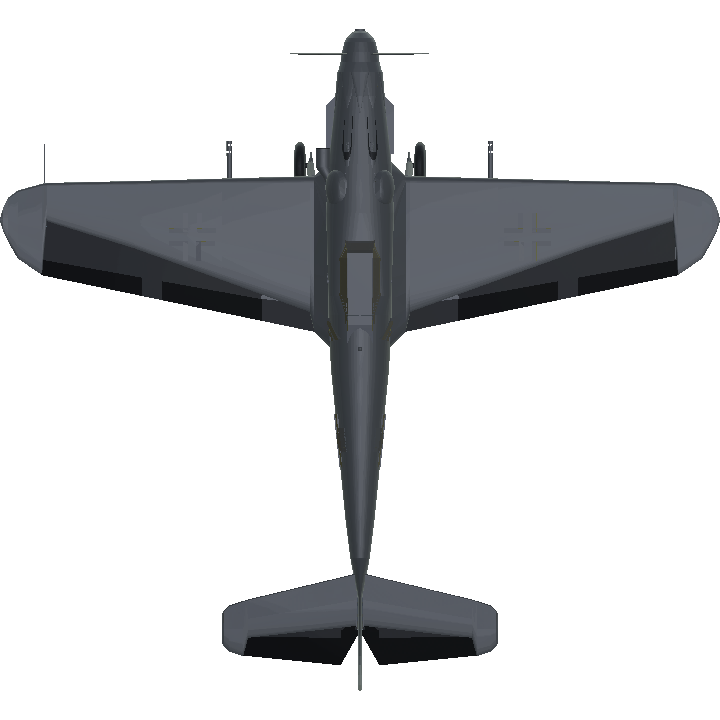 Bf-109G-14AS: The DB-605AS engine was installed, which had a larger diameter compressor, so it took advantage of improving the aerodynamics of the MG-131 machine gun bolts with a new, more harmonious design. 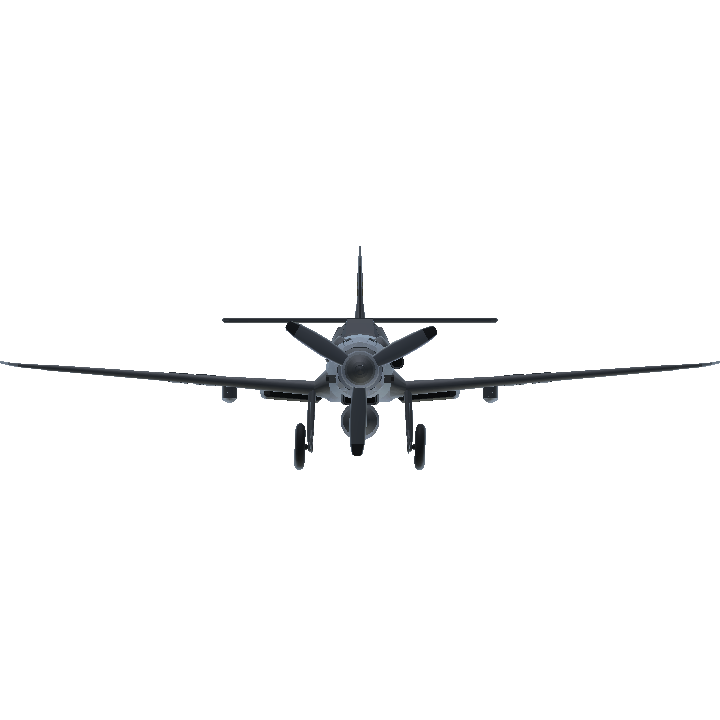 the general lines of the aircraft. 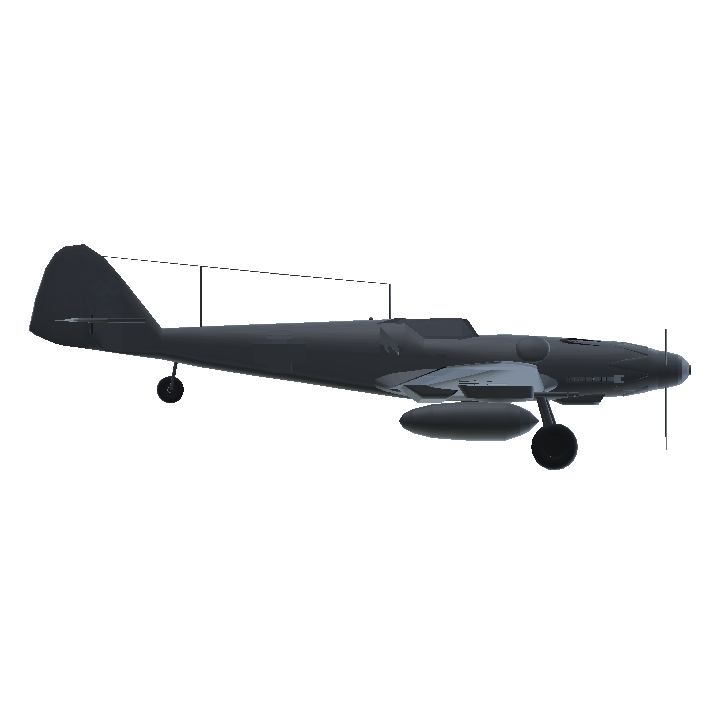 The antenna for the FuG-16ZY radio was installed under the left wing and the diameter of the air intake of the oil pump was increased. They were used by JG-4, JG-6, JG-27.